Just like the kite photo I recently posted, this image is out of the ordinary for me — I don’t shoot many abstract or fine art types of photos. During the week I picked up my Canon 5D mkii from being repaired [related sad story below] and yesterday got a chance to fully check it out. I popped my 50mm f/1.4 lens on the body and started plinking. 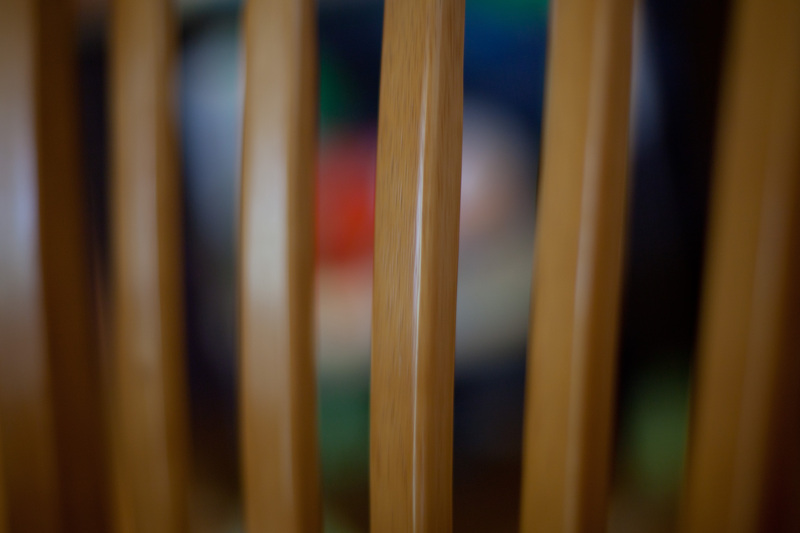 As I sat at our little breakfast table I opened the lens up completely and started shooting through the rails of one of the chair backs. There were a lot of colorful things in the background which were nicely blurred by the wide aperture and close focus distance. I then started shooting while moving the camera up and down, resulting in the image above. I rather like it. The image is straight out of the camera except for cropping. So the sad story is this: This year I decided to try shooting some pictures at a fireworks show. I’d never done it — I’d rather concentrate on *watching* the fireworks and it just seemed like a headache overall. Before the fireworks we attended a BBQ dinner catered by the Salt Lick and as dusk fell I hauled out the camera and tripod and began getting set up. I put my wireless remote into the cameras hot shoe, put the camera on the tripod, then proceeded to adjust the length of the tripod legs. I heard a loud crash — my 5D mkii hitting the pavement from a height of about 5 feet. Looking on the bright side, the camera had turned over on the way down and landed flat on the wireless remote which was in many pieces all around us. That definitely spared me from the damage I could have had. The camera “worked” here and there but mostly gave an error. It would even randomly try to focus the lens — when the power switch was off! Anyway…a couple hundred dollars later I have my camera back refurbished and sporting a new shutter box and mirror assembly. I managed to put all the remote pieces together but it was dead as a doornail. There’s something amazing about a building which is still standing after nearly 1000 years. 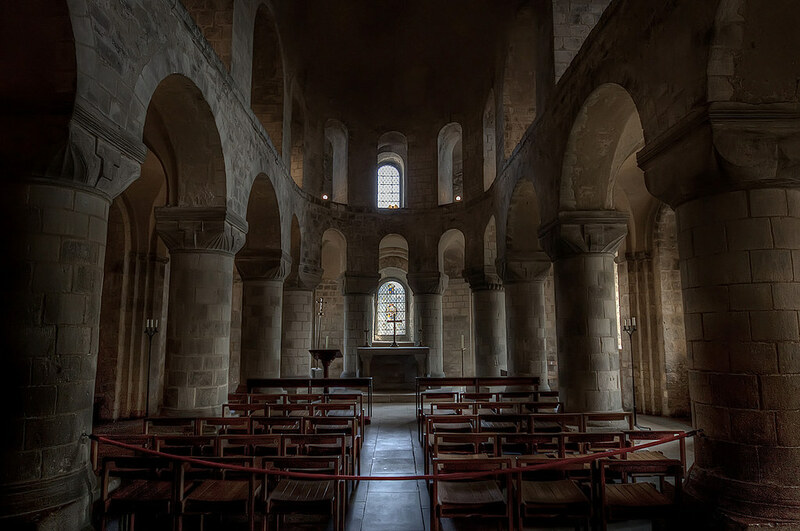 This is St. John’s Chapel in the White Tower…in the Tower of London. This image is from 3 handheld exposures — part HDR, part composite. The dynamic range was extreme here with the dark shadows and the bright light streaming in the windows.